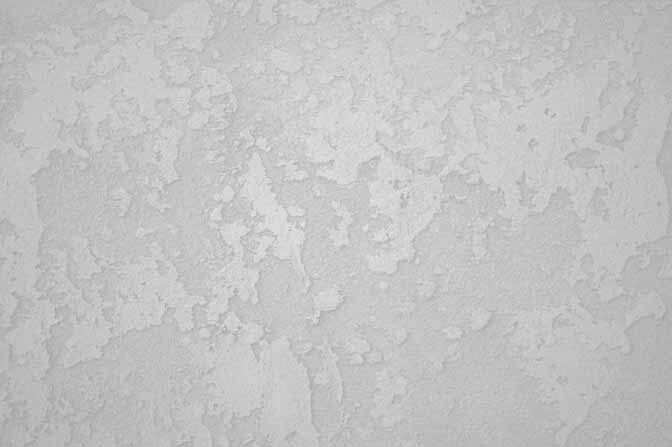 Note: to receive pre-event e-mails, send your e-mail address to forum@gvanstrum.com. Your address will not be released for any other purpose. February 17, 2019 (Sunday) La Jolla Riford Library, 2 p.m. Cello and Piano Duos with Peter Stoffer (cello) and Glenn Vanstrum (piano). Short works by Schumann, Debussy, Rachmaninoff and Faure, plus the A Major sonata by Cesar Franck. October 28, 2018 (Sunday) La Jolla Riford Library, 2 p.m. Piano Solo; Beethoven Op. 10 #1., Op. 53 (Waldstein): Glenn Vanstrum; Piano solo works by Gershwin and other American composers: Erica Poole. June 18, 2017 (Sunday) La Jolla Riford Library, 2 p.m.: Brahms: Variations on a Theme by Schumann, Op. 23, piano four hands with Erica Poole; Arensky Piano Trio in D minor -- Erica Poole, Andy Helgerson, and Cliff Thrasher; Dvorak Piano Quintet in A Major with Ray Mak, Andy Helgerson (violins); Lee Wolfe (viola) and Cliff Thrasher (cello). October 23, 2016 (Sunday) La Jolla Riford Library, 2 p.m.: Piano Quintet in D minor by Gabriel Faure with Ray Mak and Andy Helgerson (violins); Penelope Bridges (viola); Cliff Thrasher ('cello). Ma Mere l'Oye by Maurice Ravel, suite for piano four hands with Erica J. Poole. July 24, 2016 (Sunday) La Jolla Riford Library, 2 p.m.; Four-hands Piano with Erica J. Poole; Beethoven, Debussy, Brahms. September 27, 2015 (Sunday), La Jolla Riford Library, 2 p.m. Piano Solo; Mozart, Beethoven, Gryc, Debussy. June 21, 2015 (Sunday) Atlanta, Georgia, 2 p.m.; Piano Solo; Mozart, Beethoven, Gryc, Debussy. March 22, 2015 (Sunday) La Jolla Riford Library, 2 p.m.; Four-hands Piano with Erica J. Poole; Mozart, Schubert, Gershwin. October 26, 2014 (Sunday) Calsbad Library, Schulman Auditorium, 2 pm; Vanstrum/Loeb/White Trio, Bridge, Schubert, Bloch, Brahms. October 19, 2014 (Sunday) La Jolla Riford Library, 2 p.m.; Vanstrum/Loeb/White Trio, Bridge, Schubert, Bloch, Brahms. May 18, 2014 (Sunday) La Jolla Riford Library; 2 p/m; Vanstrum/Loeb/White Trio, Bridge and Schubert; Wendy Loeb/Fontaine Laing duo, Franck violin sonata. November 6, 2013 (Wednesday) Encinitas Public Library; 12 noon, White/Vanstrum, Cello/Piano Sonatas: Beethoven A Major, Brahms E minor. October 27, 2013 (Sunday) La Jolla Riford Library, 2 p.m. White/Vanstrum, Cello/Piano Sonatas: Beethoven A Major, Delius, Brahms E minor. February 3, 2013 (Sunday), 2:00 p.m Vanstrum/Bak/White Trio, Calsbad Library, Schulman Auditorium, 2 pm. January 20, 2013 (Sunday) 2:00 pm--Vanstrum/Bak/White Trio, Inaugural Concert--La Jolla Riford Library, 2 p.m.; with Janet White, cellist. Faure, Beethoven, Brahms. November 21, 2012 (Wednesday)--Encinitas Library, 12:00 noon. Piano solo program of Beethoven and Chopin. October 21, 2012 (Sunday) -- La Jolla Riford Library, 2 p.m.; Violin/Piano Sontas with Roy Bak (Handel, Martinu, Schubert, Dvorak). May 20, 2012 Atlanta, Georgia--Violin/Piano Sontas with Roy Bak (Handel, Martinu, Schubert, Dvorak). Glenn Vanstrum first studied piano in Minneapolis with his grandmother, pianist Edna Vanstrum, at age five. At Grinnell College in Iowa he majored in music and studied piano with the late Nathan Schwartz of the Francesco Trio. He continued his studies there with Cecil Lytle, winning a concerto competition and playing the Bartok 3rd Piano Concerto with the Grinnell Symphony. The Vanstrum Trio had its premier in Iowa, performed by Cecil Lytle and members of the Manhattan String Quartet. Vanstrum has performed the piano part of his cello sonata both in Iowa and at the San Francisco Conservatory. He furthered his piano studies with Mr. Schwartz in the Bay Area. More recently he has played solo piano concerts, four hands piano with Erica Poole, violin/piano duos with violinist Roy Bak, and piano trios with Bak and Janet White. Erica Jean Poole began her piano study at age five. Through primary and secondary school, she received honors in numerous competitions, participating in multiple concerts and beginning her piano teaching career at age sixteen. Erica went on to receive a bachelor's degree in music performance from U.C.S.D., where she studied with Aleck Karis. During her years of formal music study, she was a finalist in the U.S. Open Competition, the Menuhin-Dowling Competition, the Pacific Musical Society Competition, and the La Jolla Symphony Concerto Competition. 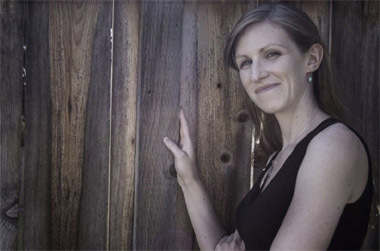 Erica teaches piano and music theory in Mission Hills and in the Bay Area. She gives, and has given, recitals throughout California and in New Jersey. Please visit www.ericapoolepiano.com for further information. 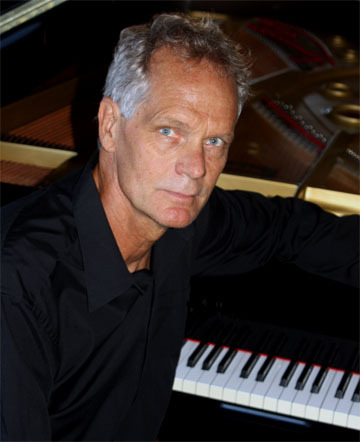 Andy Helgerson began his music studies on piano at age four and violin at age ten. In 2004, he received a minor in violin performance from the Blair School of Music at Vanderbilt University. 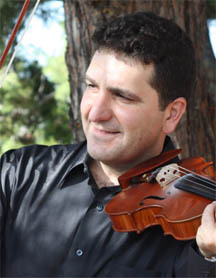 A principal violinist for the La Jolla Symphony, Andy plays in many other musical organizations throughout the community. After seven years in the Navy, Andy now works in the defense industry when not boxing. He rarely turns down sharing a cold beer with friends. Cliff Thrasher has been a keen cellist ever since he can remember. Director of Patron Services at the San Diego Opera, he plays cello with the La Jolla Symphony and with many other musical ensembles across the city. Cliff's skilled musicianship and solid intonation make him the bedrock of any chamber group. Irish-born Penelope Bridges started playing violin at three, imitating her mother, but discovered the viola at twelve and never looked back. She played in the National Youth Orchestra of Great Britain and won a scholarship to Clare College, Cambridge, graduating with a degree in music performance. Penny serves as Dean of St. Paul's Episcopal Cathedral in San Diego but enjoys playing chamber music whenever she gets time to doff her cassock. Raymond Mak has played violin since the age of three. Newly arrived in San Diego from Toronto, his virtuosic skills have made him an immediate favorite of chamber music groups throughout the city. A graduate student in microbiology at UCSD, he plays the fiddle whenever he gets the time, eh? Janet White began playing cello at age 10. 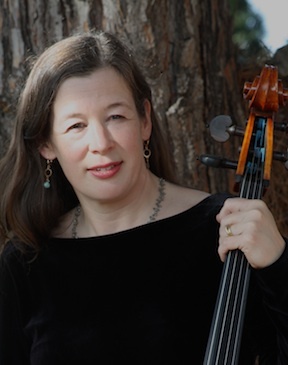 She was principal cello in numerous community orchestras, including the Dorking Chamber Orchestra, Redhill Sinfonia, and Slater Symphony Orchestra in the UK; and the Westminster Community Orchestra in Princeton, N.J. She has played with the La Jolla Symphony Orchestra but currently has been focusing on chamber music. Janet chairs the North American Advisory council of the Associated Chamber Music Players, an international musicians' network, and plays and performs with a number of small chamber ensembles in San Diego, as well as organizing larger chamber music playing events. Roy Bak began his violin training at age eleven, studying with Hagop Sandaljian in Los Angeles. During his teen years he played with the American Youth Symphony under Mehli Mehta. At Gonzaga College he continued his studies with Xavier Courvoisier. Bak was a finalist in the Spokane Young Artist Competition, playing the Khachaturian Violin Concerto, which he performed with the Gonzaga Orchestra. Recently Maestro Ruggiero Ricci has been his coach. Bak, who plays a Stradivarius-model instrument crafted by Ryan Soltis, enjoys playing solo Bach, as well as a varied classical and romantic repertoire.